On the occasion of the 2013 Bruce Jesson lecture we announced this year’s Senior and Emerging Journalism Awards. The Senior Journalism award of $4000 went to Alister Barry, for his feature-length film documentary, Hot Air, which tells the history of the politics of climate change in New Zealand from 1988 to 2008. Alister’s film will contribute to public debate on the politics of climate change in New Zealand from 1988 to 2008, and documenting ‘a political struggle over the burning of oil and coal which is causing the extinction of thousands of species’. He has a track record of completing work that has generated public awareness and debate. His films as writer-director include Someone Else’s Country (1996), In a Land of Plenty (2002) and The Hollow Men (2008), the latter adapted from the book of the same name by last year’s Bruce Jesson lecturer Nicky Hager. The Emerging Journalist award of $1000 was shared between Ruth Keber, a journalism student at Massey University, for ‘The New Maori Muslims’, North & South (March 2013) and Deena Coster, a journalism student at the Western Institute of Technology Taranaki (WITT), for a portfolio of articles in the Taranaki Daily News (June-Sept 2013). Ruth Keber’s ‘The New Maori Muslims’, published in North & South, told the story of a young woman’s personal testimony of a flight from abuse to the embrace of Islam, then broadening into an exploration of linkages between Maori and Muslim culture and consideration of Islam and religious diversity in New Zealand. Deena Coster’s portfolio of articles published in the Taranaki Daily News showcased a student journalist following in the tradition of the best kind of local newspaper journalism, displaying community commitment, social concern over issues like pay and housing and the initiative to dig around. A planned book on the Pike River mine disaster by Christchurch journalist Rebecca Macfie has won this year’s top Bruce Jesson journalism award. 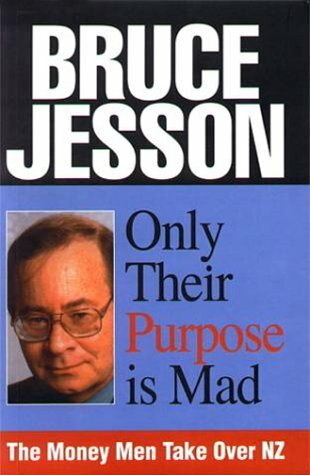 The Bruce Jesson Foundation presents the Bruce Jesson Senior Journalism Award ($4,000) and the Bruce Jesson Emerging Journalism Award ($1,000) annually for critical, informed, analytical and creative journalism or writing which will contribute to public debate in New Zealand on an important issue or issues. Applications/Nominations for the 2012 awards are now open and will close on Friday 7th September 2012. The 2011 Bruce Jesson Journalism Award went to Max Rashbrooke, Wellington, for his book Across the Great Divide on inequality in NZ. The 2011 Bruce Jesson Emerging Journalist Award went to Josh Gale, Auckland University of Technology, for a series of stories in the AUT student newspaper Te Waha Nui, and later in the New Zealand Herald, on prostitution of girls as young as 12 in central Auckland.